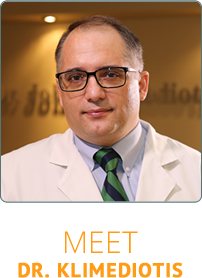 Dr. John Klimediotis has been providing exceptional care for families in Park Ridge and beyond for over 20 years. Our practice offers Natural Health Chiropractic, Professional Applied Kinesiology, Clinical Blood Analysis, Functional Neurology and Nutritional Wellness with a special focus on patients who have rare chronic symptoms. 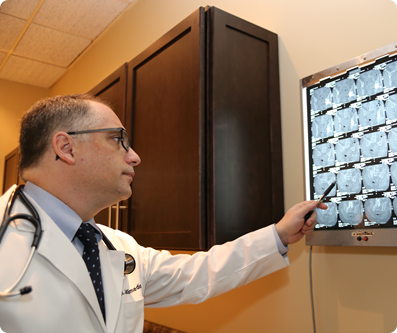 Dr. John Klimediotis, chiropractor Park Ridge, has provided his patients with Natural Health Chiropractic, with emphasis on Professional Applied Kinesiology, Clinical Blood Analysis, Functional Neurology and Nutritional Wellness. 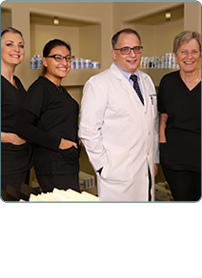 His unique approach attracts families to his beautiful clinic from all over the United States. His mission is to free people, from tiny newborns to aging seniors, from the tyranny of chronic health issues and pain. Although we are old-fashioned in our love of community and family, it is our goal to bring the very best in technological advancement to our patients as it pertains to health. Too many people suffer from conditions that could be helped if only the causative factor could be found. Through our unique approach of combining the physical and physiological aspects of your body, we can develop an accurate blueprint that points us in the direction of optimal health. We hope this makes sense to you because this method gives us the key to finally unlock the door to your abundant health. Good health is priceless. We take our responsibility to serve others very seriously, and it is our mission to help the members of our practice get well, blossom and thrive. Optimal health allows us all to take part in the everyday activities that we love, such as playing with our kids, gardening, playing golf, or just being happy. We encourage you to invest in your well-being. Our office is an oasis of beauty and calm for many. 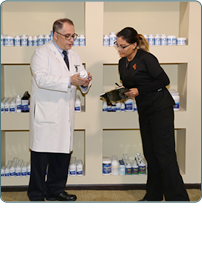 Let us help you get out of pain, or eliminate a condition that you may think is hopeless. Our well-respected methods get the job done for people from all walks of life. Contact us today! Dr. John is open to new ideas and research which is truly appreciated. Finally….a doctor that is truly concerned about finding out what is making my daughter sick. He is caring and thoughtful. Dr. John and his staff is AMAZING! First visit and I’m hooked. Can’t wait for my second appointment! Very kind, knowledgeable, and helpful people. I was recommend to see Dr. Klimediotis by my boss who said the guy was great! I was skeptical but the more I read the articles and researching things about the body and spine I’m convinced that this man is a miracle worker. He is a very humble, welcoming, and hysterical. I leave his office feeling like a new person. Love Dr. John! He is a miracle worker! I was very impressed with the entire experience. Dr. John is a gifted healthcare professional. Despite the fact that this was my 1st visit, and considering the fact that I have marketed several Chiropractors in the past, Dr John epitomizes a true healthcare professional. Dr John is very thorough and takes the time to listen and get to the source of the problem. The staff is also very helpful professional and friendly. I was just amazed at Dr. Klimedotis’ testing practices to verify my condition and even revealed to me some past hits to my head, that are causing some issues for me now. Prior to seeing the doctor, I was getting very discouraged that anyone would be able to help me, but now, I’m on a positive and hopeful outlook that I can live without anymore pain. 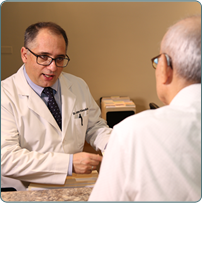 Dr. Klimedotis is very caring, and certainly knows his profession! I was recommend to see Dr. Klimediotis by my boss who said the guy was great! I was sceptical but the more I read the articles and researching things about the body and spine I’m convinced that this man is a miracle worker. He is a very humble, welcoming, and hysterical. I leave his office feeling like a new person. I can already tell the difference after my first visit!! Thank you Doctor and the wonderful staff!! After living with lower back pain for years and years I am hopeful that I can be well. My pain has already improved. I trust them! I am so Happy that I found them! Love you all! Very happy with Dr Klimediotis and his overall knowledge and experience. So happy to start treatment with him! I am very confident he will help me with my issues!!! CAN NOT WAIT FOR MY NEXT VISIT WITH HIM NEXT WEEK! Dr. John is amazing and for the first time since age 15, I feel that there’s finally hope for my chronic health issues and couldn’t be happier with the service I have been receiving! Thank you Dr. John for everything!